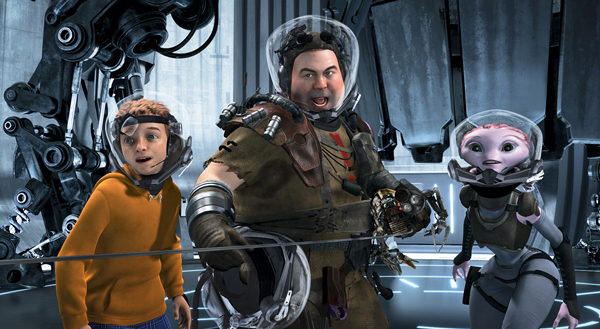 It's official: Mars needs moms, and they need them so badly, that they made "Mars Needs Moms!" This epic misfire, which lost over $100 million at the box office, destroyed studios and nearly killed an animation medium, and earned tons of negative reviews. But is it really that bad? And why is it the perfect double feature with Hayao Miyazaki's beloved, acclaimed, Oscar-winning animated classic "Spirited Away?" You'll get all that, plus new reviews of "The Grinch," "Overlord," "Outlaw King," "The Girl in the Spider's Web" and "The New Romantic!" Give it a listen at Podcast One! Head on over to the Schmoeville! Facebook page to vote in our weekly polls, every Sunday, and force Bibbs and Witney watch the bad movies YOU want them to watch!